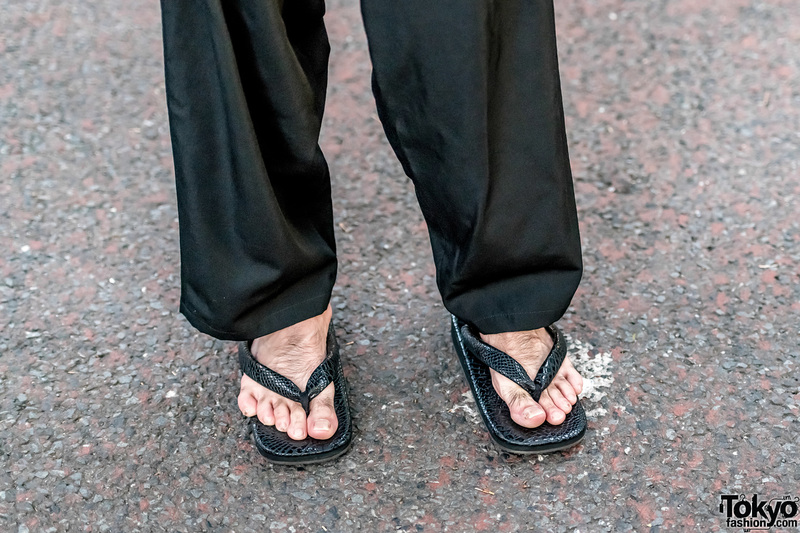 One late afternoon, while taking a stroll along the streets of Harajuku, we met Tsukasa, the Japanese actor clad in a stylish all black ensemble. 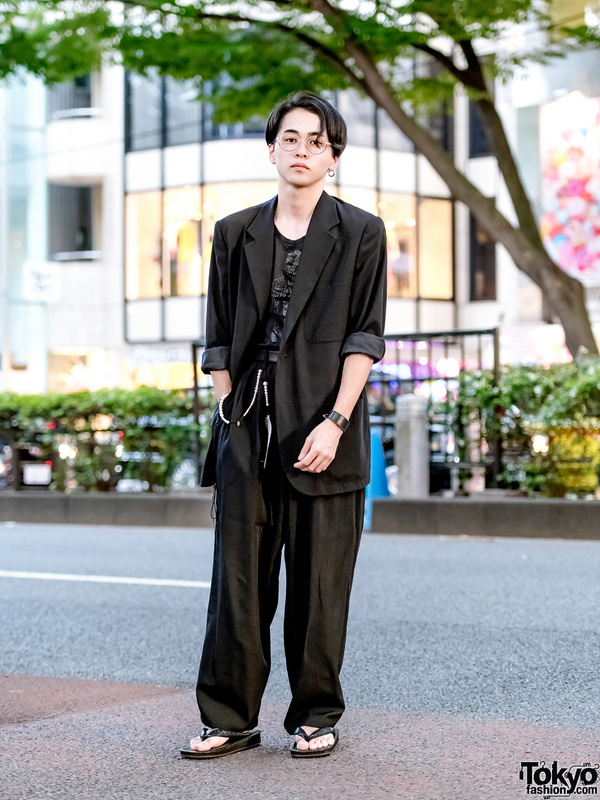 Tsukasa is sporting a black Yohji Yamamoto coat with cuffed sleeves, and worn over a black monochrome print t-shirt from Dior Homme and loose black pants from Yohji Yamamoto. 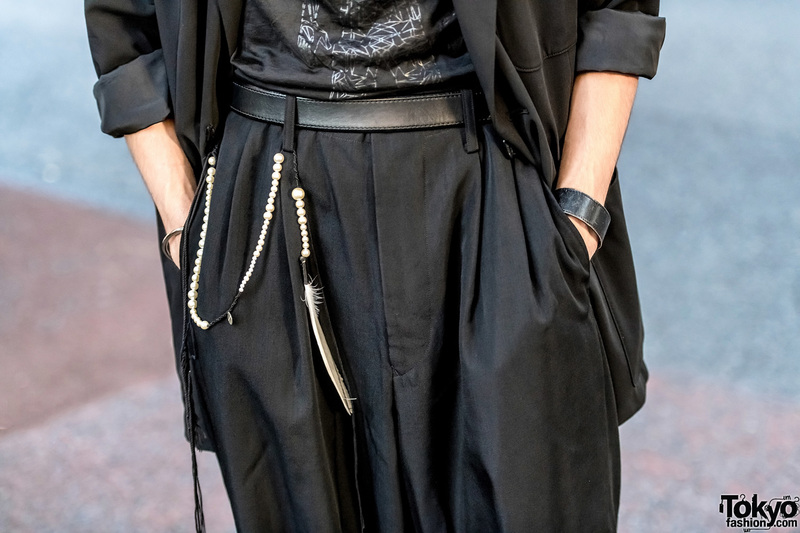 He slipped into black snakeskin leather sandals, and embellished his look with accessories – from Kujaku, Ann Demeulemeester, Commune and Hermes – such as round eyeglasses, a single hoop earring, a black leather belt, a black leather bracelet, a silver bangle, silver ring, and a beaded feather chain accessory. 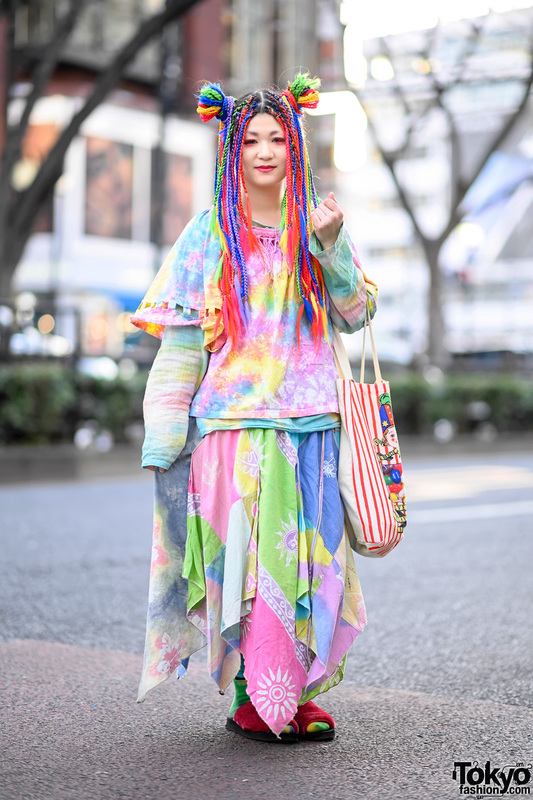 Clique Tokyo and Detour Yorimichi are two of Tsukasa’s favorite fashion brands, and he likes listening to the music of 10-Feet. For more on Tsukasa, check him out on Instagram.